Democrats have the opportunity to define this positive policy, not simply react to Trump’s provocations. President Trump’s impulsive belligerence sensibly arouses alarm across the political spectrum. Yet, reflexive opposition to all things Trump can have perverse effects. In 2008, Barack Obama swept to the Democratic Party’s nomination and the presidency, in part, because of his early opposition to President George W. Bush’s catastrophic war in Iraq, a stark contrast to the hawkish support provided by primary opponents Hillary Clinton or Joe Biden. Now, reacting to Trump, even liberal Democrats are beginning to embrace hawkish postures, pundits and policies. 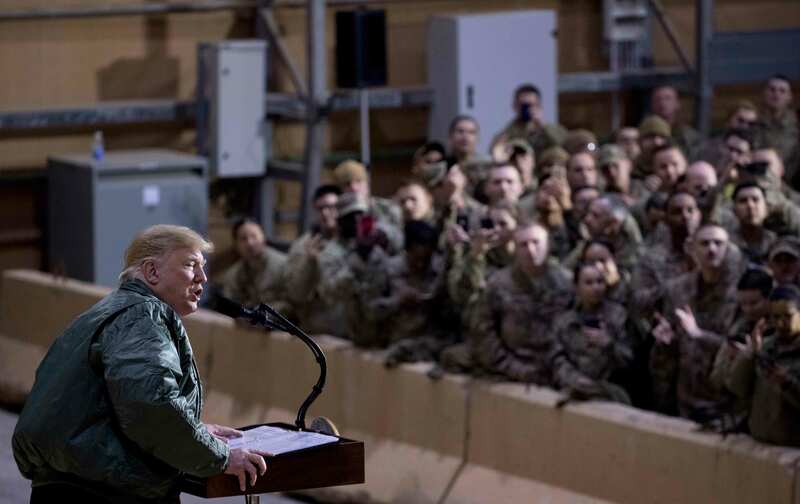 When Trump abruptly announced he would remove US troops from Syria and would begin pulling them out of Afghanistan, Defense Secretary Jim Mattis resigned, and the foreign policy establishment howled in dismay. Many leading Democrats immediately piled on. Clinton tweeted: “Isolationism is weakness. Empowering ISIS is dangerous. Playing into Russia and Iran’s hands is foolish. This President is putting our national security at grave risk.” Speaker Nancy Pelosi (D-CA) called his announcement a “Christmas present to [Russian President] Vladimir Putin.” Only a few voices such as that of Representative Ro Khanna (D-CA) were prepared to make the sensible case: The intervention is illegal under international law, is not authorized by Congress and makes little sense. Democratic voters reacted as their leaders did. As Glenn Greenwald detailed for the Intercept, Trump’s action turned opinion upside down. A majority of Democrats went from being skeptical of the intervention to favoring keeping the troops in Syria. A broad majority of Republicans did just the opposite, going from pro-intervention to pro-withdrawal.